Kimberly Franklin: My Twilight Inspired Entry--to a contest I can't win! My Twilight Inspired Entry--to a contest I can't win! Anyway, here it is. My Twilight inspired scene was inspired by Bella's reluctance to marry Edward. (Which, in my opinion, was the perfect excuse to write a touchy and kissy scene between the two... whatev!) YAY! His lips met my forehead before finding my ear. “Bella…” He whispered, drawing out my name with a sigh. His breath tickled, raising the hairs on the back of my neck while sending chills down my spine. It only took one word, one breath, for millions of tiny bumps to spread across my flesh. I shivered at his touch—so light and cold, yet intense and full of fire at the same time. Secretly, I hoped that would never change. Pulling his body closer, I securely wrapped my arms around him and buried my face in his chest. My hair fell like a dark curtain, hiding my terrified expression. I could feel him pulling away, but I refused to let go. If I did, I knew what was going to happen. This wasn’t the first time he had tried to do this. And even though it was what I wanted—to be bonded with him for all of eternity. To not only be a part of his immortal family but one of them, an equal. To be Mrs. Edward Cullen. It just seemed like my unfathomable wish, my every hope and dream, was happening much to fast. After all, I was only eighteen. Which, in my opinion, was the perfect age to become a vampire, but still way too young to be married. “Bella, look at me” he whispered again, slowly tucking the long strands of hair behind my ear. Removing my face from his stone chest, his amber eyes met mine, searching for an answer to his unspoken question. My stomach twisted with anticipation as he dropped to one knee among the wild flowers in the meadow. Our meadow. Our story was like a fairytale—a seriously twisted fairytale—and I wasn’t sure why I expected his proposal to be any different. Falling to my knees, I stopped his words with my hand. “Stop talking, Edward.” I choked. A saddened expression washed over his face as his thumb brushed across my cheek. Surprisingly, his pale, rosy lips hitched into my favorite crooked smile. With his hand entangled in my hair, he pulled my face to his. Our noses touched causing an instant wave of regret to pulse through me. I shouldn’t have stopped him. He was all I wanted. He was all I needed. Why did I stop him? In a hushed tone, his velvety voice said, "I love you, Bella." And in that moment, I knew he was satisfied with just being with me... for now. That's when, beneath a flickering canopy of stars, his lips merged with mine, once more. Oooo I love the swoony-ness!!! Swoon worthy indeed! I liked! I promise to get around to the boyfriend book! I plan on doing it this evening so be on the look out for it tomorrow!! Oh and don't be surprised if I stop by a lot today and swoon over your boyfriend book!!! Some hunks for sure! Ahhhhh Edward. Thank you for putting his sweet face in my head. I will look at the boyfriend book thingy. Love swoony--ness!! Love it! I have to make sure I entered. My mind is mushy now. Oh and love your new background! Jen - Thanks! And I can't wait to read about your boyfriend!!!! Christine - A girl just needs to feel swoony sometimes,right? And thanks! I hope this layout likes me better!! Ooh, smoldering! I enjoyed this very much!!!! And I love your new background -- it's Spring-y! - "Which, in my opinion, was the perfect age to become a vampire, but still way too young to be married." - "Our story was like a fairytale—a seriously twisted fairytale—and I wasn’t sure why I expected his proposal to be any different." That was intense. Poor Edward having to wait so long, and Bella not being ready yet. Really great descriptions! There's a scene in my book where my ghost-guy touches my MC and she has that sort of goosebump, then burning fire reaction. Thrilling! 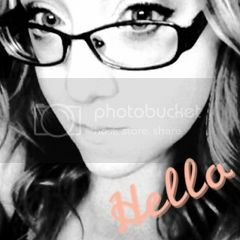 Nicole -Thanks! I'm feeling kind of springy right now. Maybe because it's almost spring. Yay! Mia - it sure does! It doesn't pay me though. *tear* Good luck!!! Amy - Ooo... your MS sounds yummy!!! Shannon - Lol... no you're to cool for just saying that!!! Swoon on, Kimberly Franklin! I really enjoyed that bit of Twilight in my morning. Ah, Edward, if only you could see that I, not Bella, am the love of your life... I have a friend who has a blog devoted entirely to Twilight fan fiction. Thanks for the much-needed swoonyism. Love the new look! 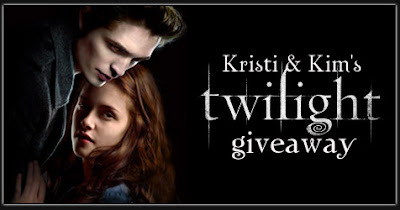 And your Twilight entry is totally awesome! I'm just going to pretend that you were writing about Edward and I :) Bella who? That was swoon worthy. love it!!!!! Love me some Twilight! Woo! And there's my Twilight fix for the day. :) Very nicely written!